A puzzling question that restaurant and commercial kitchen operations have been asking is how to communicate their kitchens’ eco-friendly practices to the consumer. Filta, the world’s largest mobile based cooking oil management service, is providing awards to commercial kitchens who are promoting environmental excellence by using the FiltaFry or FiltaBio services. “The Filta Eco-Award will be given to customers who have shown environmental excellence in the aspects of cooking oil handling, fryer management, and waste cooking oil recycling. It is a great way for commercial kitchens to display their commitment to the green movement.” COO Tom Dunn of Filta stated. 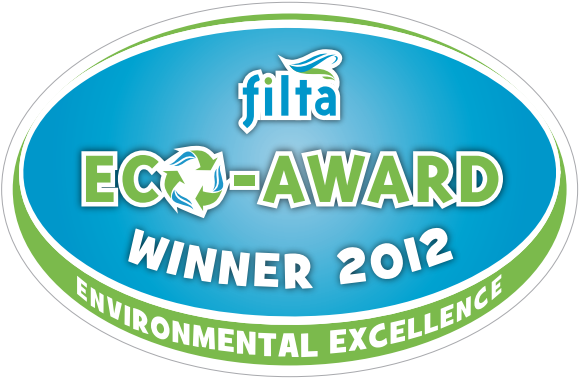 The award certificate will be provided by one of Filta’s Franchise Owners. In addition to the certificate, a window or wall cling that can be displayed in the establishment will be provided. The Eco-Award brings an added element to the food producing organization and it gives them a chance to stake their claim as an environmentally forward company.